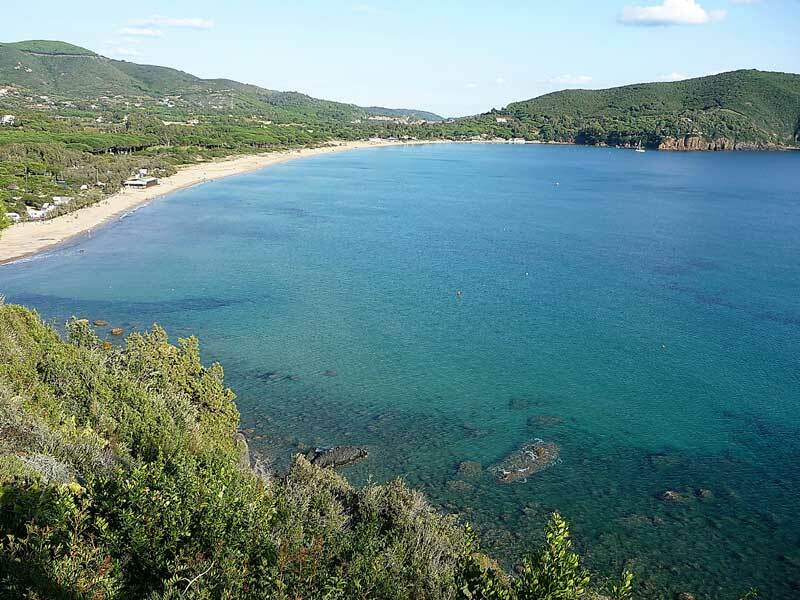 On the south-eastern slope of Elba Island, you will discover the town of Lacona, situated behind the big gulf and accessible also by public means of transport during the tourist period. From the coastal road, the access to the beach can be recognized by a disco sign where a trail crossing the pinewood and reaching the Dune leaves. Behind the stretch of about 500m of beach, very busy in summer, it is possible to observe strips of natural dunes, mainly limited by the presence of artificial pinewoods and damaged by the leveling carried out for tourist reasons. Despite this, they represent the one and only example of sandy coast natural habitat surviving in the whole Tuscan Archipelago and, for this reason, deserving safeguard.